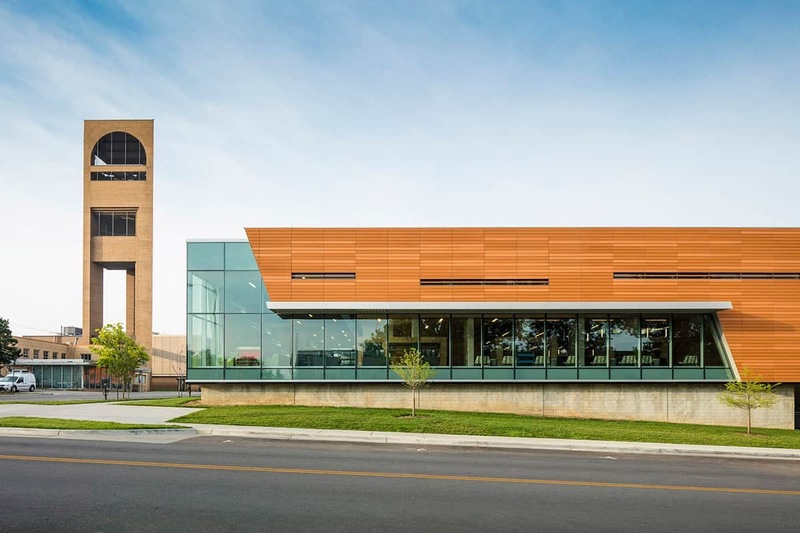 The Lawrence Public Library is a modern gem hidden in the downtown area of Lawrence, Kansas. 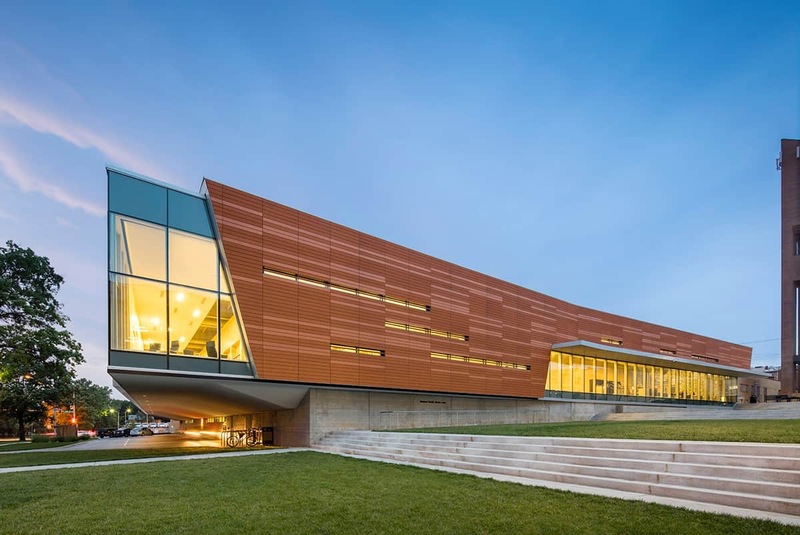 The rectangular structure extends across the street landscape, sitting pretty on top of a concrete foundation. 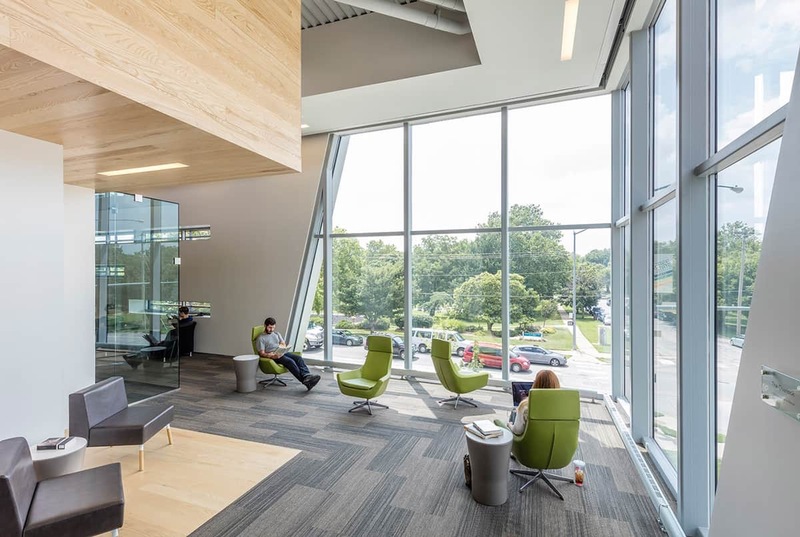 The 52,000 square foot library was designed by Gould Evans. 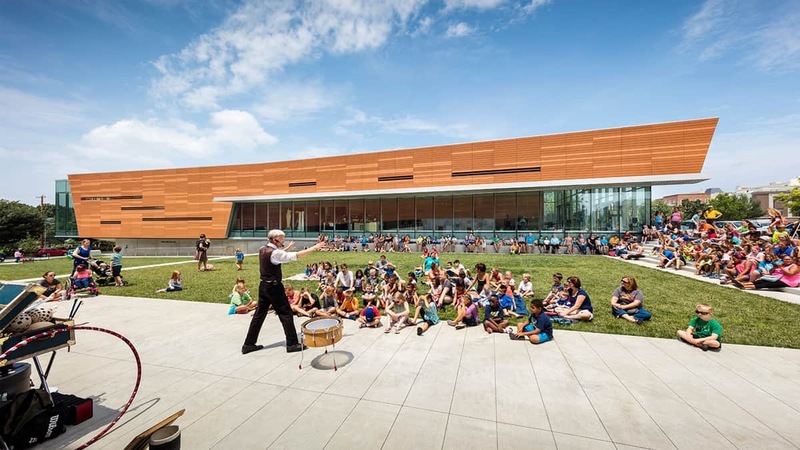 The exterior of the library features a “striking terra cotta facade that provides a high-performance thermal envelope to harvest daylight and reduce energy usage.” In addition to being energy efficient, the overall design of the building is rooted in community engagement. 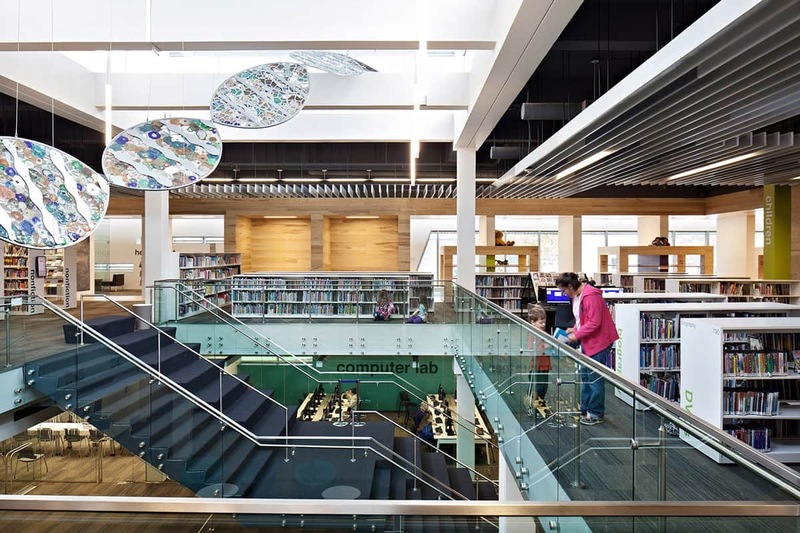 The library is a community hub, overflowing with movement and activity. 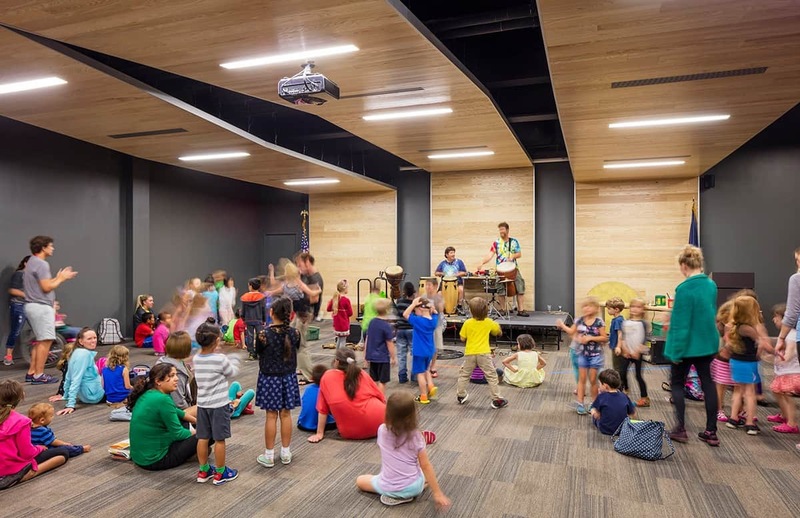 The streamline architecture design creates an inclusive environment that promotes learning and connectivity. 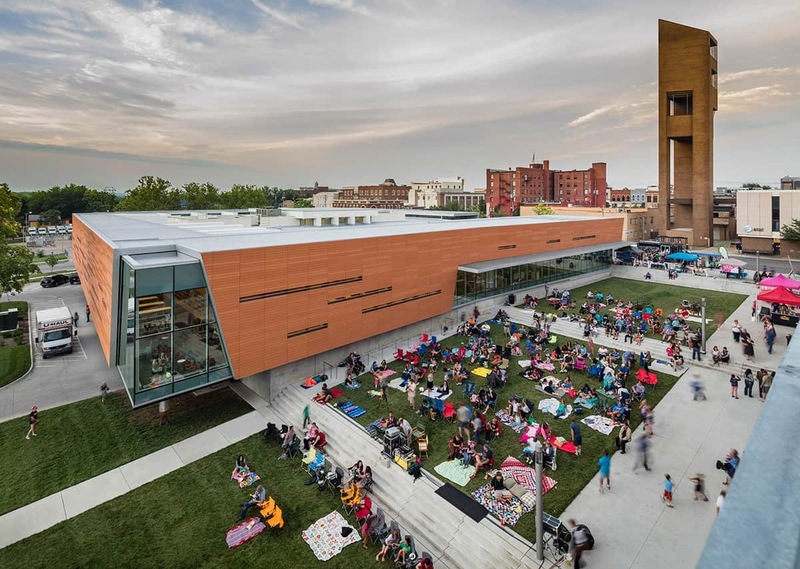 In the wake of disappearing bookstores, and massive budget cuts to arts and humanity programs across the country, the Lawrence Public library rises above the fray in a bold statement that reaffirms the importance of public libraries in our shared communities. If we want to work towards achieving a progressive future, we have to support institutions that encourage the exploration of ideas and knowledge. 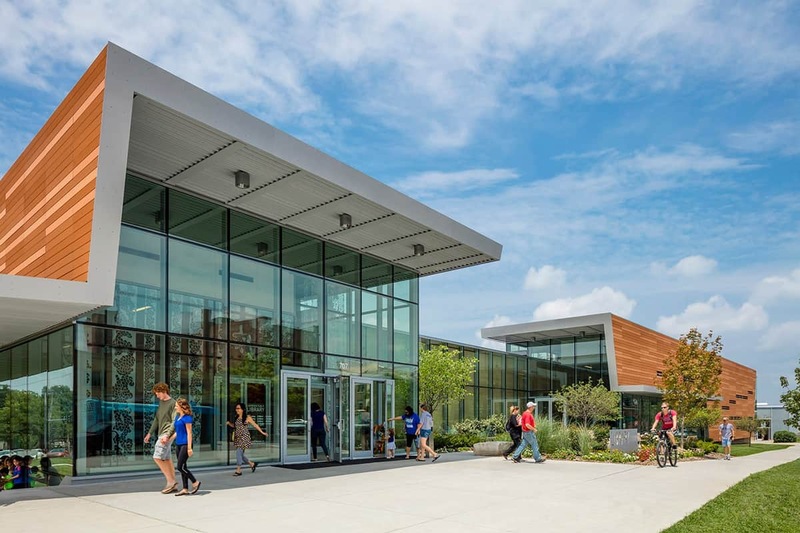 This building is an excellent example of what we can achieve when we invest money into educational resources in the United States and abroad. Designed by Gould Evans. Photos by Tim Griffith and Mike Sinclair. I’d take my family there. Lovely space, outside, too. 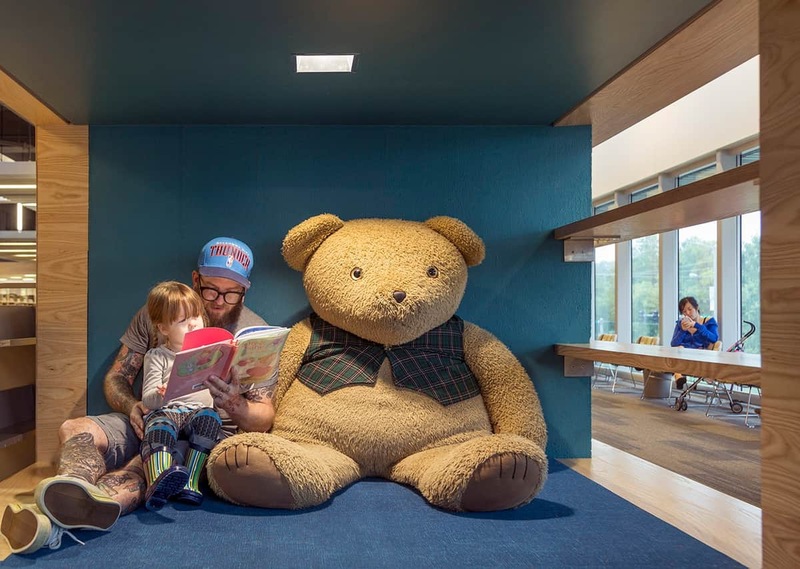 It’s a fantastic library. The staff is so friendly and kind.